Hello, and a magical Mid-May to you! Welcome, or welcome back, to my newsletter. The photo above shows me at a workshop coaching a fellow student, with lots of support for both of us. I hope you have the support you need for whatever you love to do. Today's issue has an article on examining long-standing patterns. Enjoy! Does who you were have to be who you still are? As we grow, we naturally increase our skills. First we lift up our head, then roll over, then crawl, then walk, and soon we're scampering all over the house while Mom is trying frantically to keep up with us. Our language skills improve, as do our manners and our ability to interact with others. Yet sometimes we can get stuck in a childish pattern of behavior which doesn't suit us as an adult. You may have had a boss (or bossy relative!) who was prone to temper tantrums -- you can almost see him or her as a toddler kicking and screaming "I want it MY way!". These are the folks prone to Road Rage. It's frightening to be around them, as you can tell they're not in control. They may say later "I don't know what came over me" or "Everyone in my family has a temper", but they have no idea how to change. Maybe your unwanted pattern is extreme nervousness, or always expecting the worst, or not speaking up because you think no one wants to hear what you have to say. Or it's something else. Whatever it is, you developed this behavior for a reason! At a younger age it served you, maybe protected you in some way, so you kept doing it. And maybe, just maybe, you don't need it any longer. Think of that undesirable habit, and try saying to yourself, "It doesn't feel safe to let go of this pattern". How true does that feel? If there's any Zing! to this, whether your pattern is over-eating or a hot temper or excessive worry or visual blur (my own "favorite"), that's a place to start. Would you honestly be less safe if you started to loosen the pattern, or is that just an outdated fear left over from a younger time? We do what we know, until we know better. So please don't blame yourself for acting in a way that isn't helpful, when it was all you knew! I've found journalling and EFT quite useful in identifying and changing my own self-destructive habits. The first step is awareness: what are you doing that you want to change? Then believe you can do it, and get started. Your future is waiting! 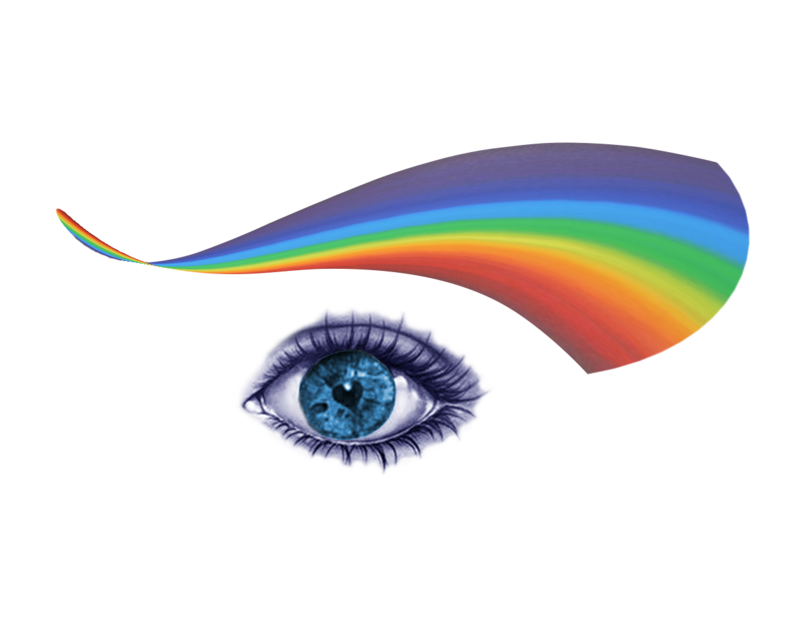 For more about examining and changing my unhelpful vision patterns, click here. Let me know what you've wondered about concerning energy medicine or vision or dreams. I'll be glad to write a short article addressing that topic. Thank you to those who have sent me questions, or see a question you asked me in a private session written about here. You're helping many other people! Enjoy the second half of your May. I'll write again in a few weeks. Take care!